I was so excited to get started on this challenge. I’ve been wanting to making flatbread crisps for a while now and this was the perfect time to experiment with them. 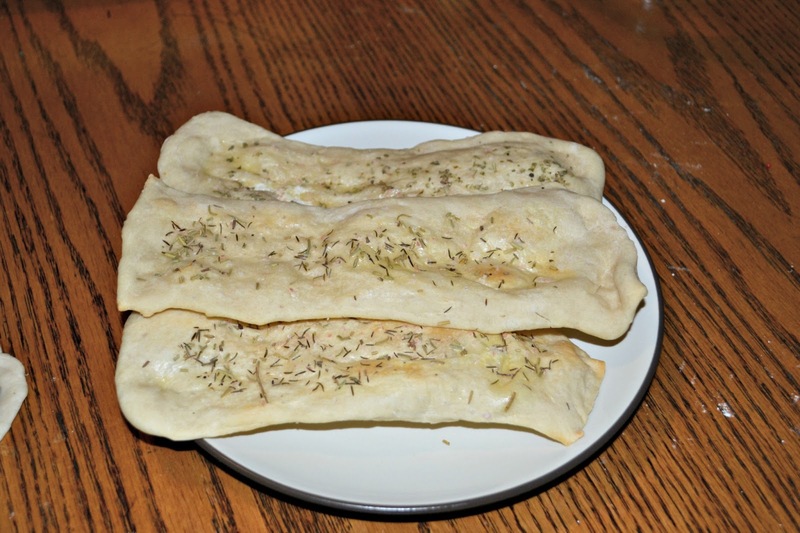 The recipe was easy to make and I ended up topping the flatbreads with a variety of different herbs and seasonings. 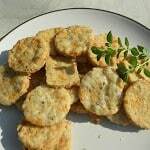 I made salt, rosemary, and thyme ones, Hawaiian red salt and pepper ones, marjoram, salt, and rosemary ones, and garlic, salt, and oregano ones. My favorites were the garlic, salt, and oregano, as well as the salt, rosemary, and thyme ones. The flatbreads were crisp in the middle and softer on the ends. My husband enjoyed his with a few slices of cheese while I ate mine with roasted red hummus. We both also enjoyed the flatbread crisps plain. 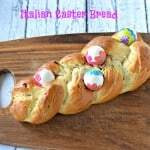 This was a great challenge and I’m so glad I got to make this recipe! 1. 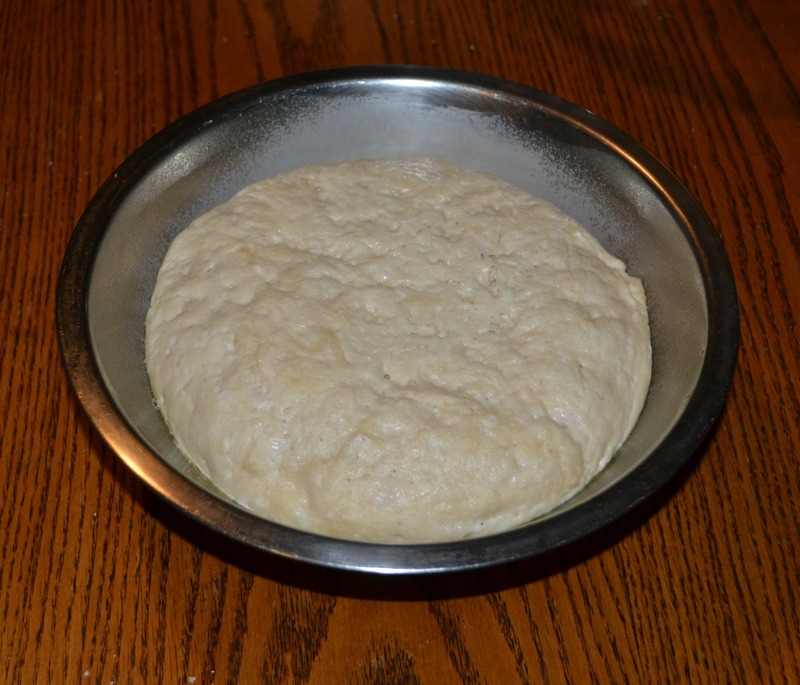 Put the water in a medium bowl and sprinkle the yeast on top. Let it stand for 5 minutes or until it is foamy. 2. Stir in the flour, oil, 2 teaspoons of salt, and the sugar. Stir until a dough forms. 3. 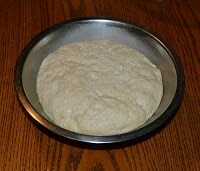 Turn the dough out onto a floured surface and knead until it is smooth, about 2 minutes. Add flour if the dough is sticky. 4. Oil a medium bowl then place the dough in, turning once to coat both sides. Cover with plastic wrap and let stand in a warm place for 1-2 hours or until it doubles in size. 5. Preheat the oven to 350 degrees. Cover 2 baking sheets with parchment paper. 6. 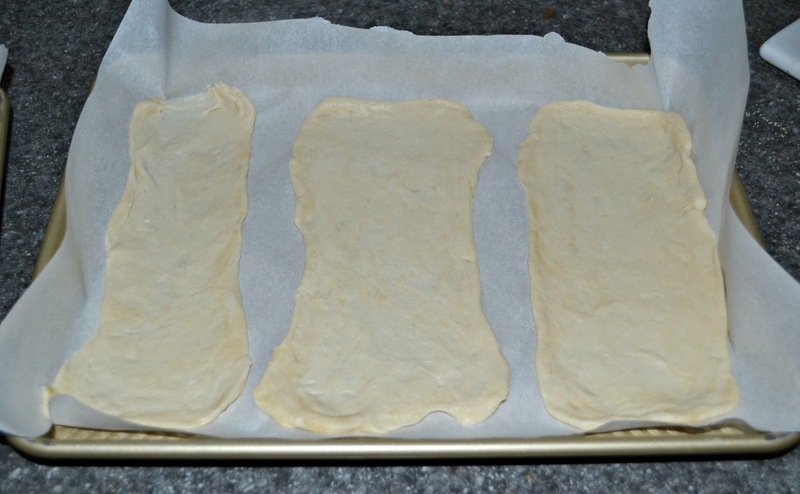 Turn the dough onto a lightly floured surface and divide it into 16 pieces. Roll out each piece to a 4 x 10 inch rectangle. Place on the baking sheet. 7. Beat the egg along with the water in a small bowl. 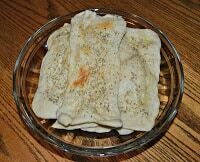 Brush the egg wash on each flatbread and then sprinkle with salt and any combination of herbs. 8. 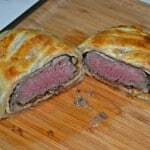 Bake for 18-22 minutes, rotating halfway through baking, until the crisp are golden brown. 9. 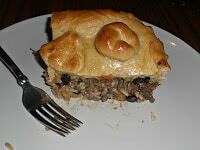 Remove from the baking pan to a wire rack and cool completely. Wow! 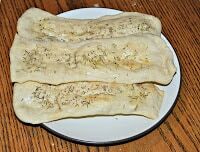 You made a variety of flatbread! Great job, Hezzi! I made some of these myself just yesterday again. Thanks for participating.